If you have a basementeer membership at Sports Basement you can get an extra discount in the next few days along with benefitting the school. Happy shopping! Be sure to mention your Basementeer account at the register, so your purchase supports Summit Denali Public School! Time: All day long for all 4 days! 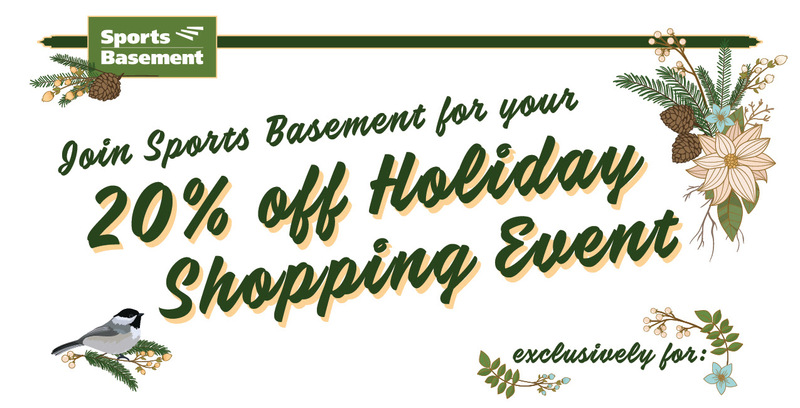 Location: All 10 Sports Basement stores! Can't join us at the store? Join the celebration by shopping online! Use the code 2050009513276 at checkout. a total of 20% off (Because math.) Non-Basementeers still save 11%! Some exclusions apply. See website for details.